On August 15, 2017, I published the following post on Book Riot. (British Library, Harvey MS 4431 f. 4). Women during the Middle Ages tend to be seen as oppressed, robbed of all agency, and constantly under the guardianship of a man. Even though the lives of women during the Middle Ages were more circumvented than the lives of women living in Europe and the United States today, the idea that they lacked control is not entirely true. Nor is it entirely true that medieval women were prevented from expressing their views in public, or that they were prevented from pursuing artistic careers because of the burdens laid upon them as mothers, wives, and daughters. In fact, during the Middle Ages there were plenty of women who led independent lives, excelling as politicians, artists, and writers. One of these women was Christine de Pizan, a French renaissance poet who is the first woman in France known to have made her living solely from writing. Christine is also known as one of the earliest feminist writers, publishing protest poems, utopian fiction about a city inhabited only by women, and a celebration of the achievements of Joan of Arc. On February 8, 2015, I published the following post on Book Riot. Author H.G. 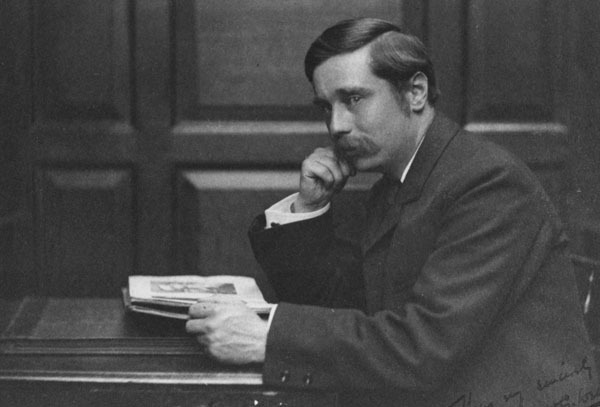 Wells (1866–1946) has left an indelible mark on popular culture through science fiction novels such as The Time Machine and The War of the Worlds. But a novel that was especially notorious during his lifetime had nothing to do with the future or with space. Instead, Wells caused a scandal with his feminist coming-of-age novel Ann Veronica.